I honestly thought when I started working from home that I would cook more “real” meals. However, I’m finding that crock pot meals are my best friend! 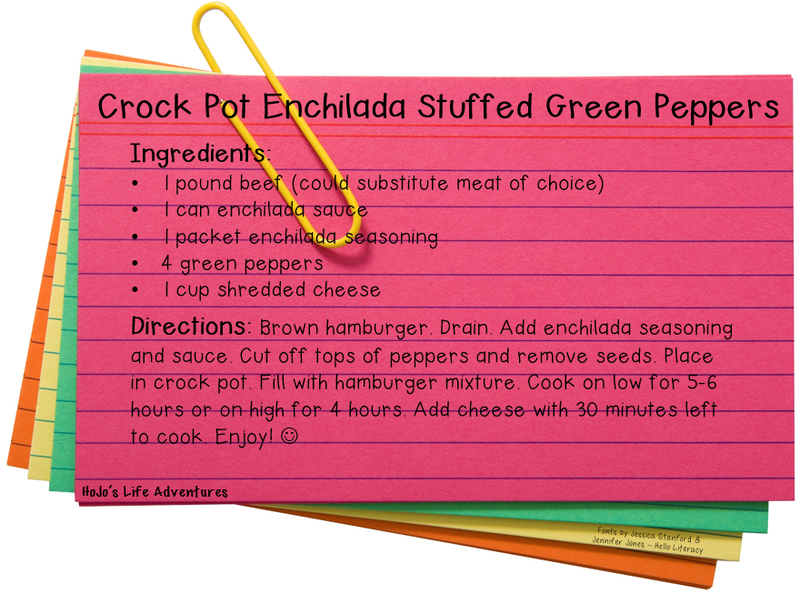 Just get everything ready, throw them in the crock pot, and I’m all set for a deliciously hot meal whenever hubs gets home! 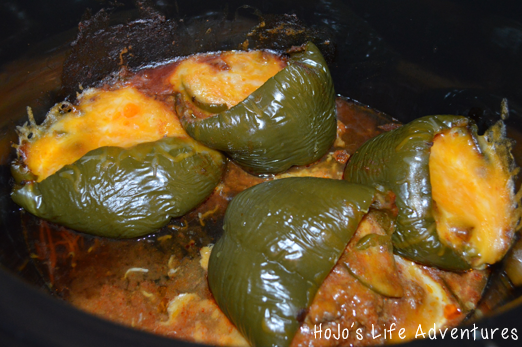 Today I want to share these crock pot enchilada stuffed peppers. You know me, easy meals! I don’t know why I hadn’t thought of this one before, but it’s definitely going to become a regular in our household – especially when we are trying to cut back on carbs a bit. Brown your hamburger. Drain. Add the enchilada seasoning and sauce. 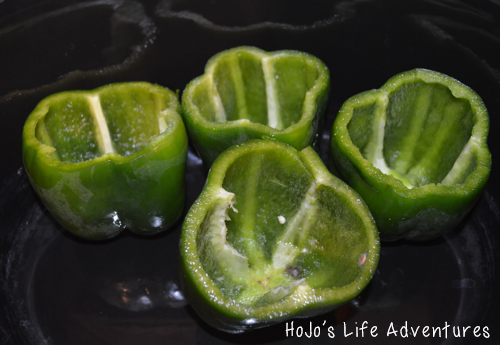 While your hamburger is browning, cut the tops off your green peppers and remove the seeds. Set them in your crock pot. When you’ve got the meat mixture ready, fill up your enchiladas. 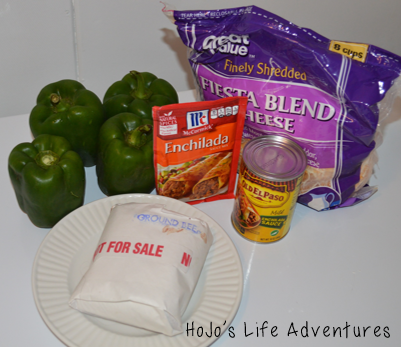 One pound of meet filled four green peppers almost perfectly! About 30 minutes before you plan to eat, add the cheese. We added about 1/2 cup to each enchilada. They were super cheesy this way, but a whole cup over all four of them would have worked just as well (and for less calories). 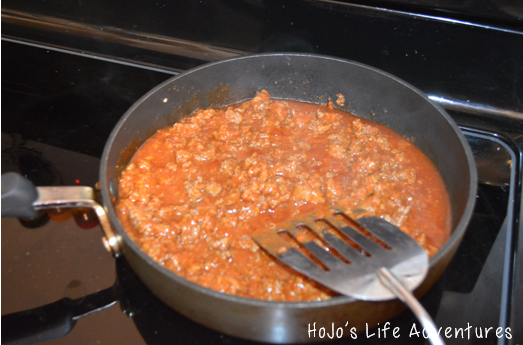 For those of you who like the recipe all in one place, here you go! 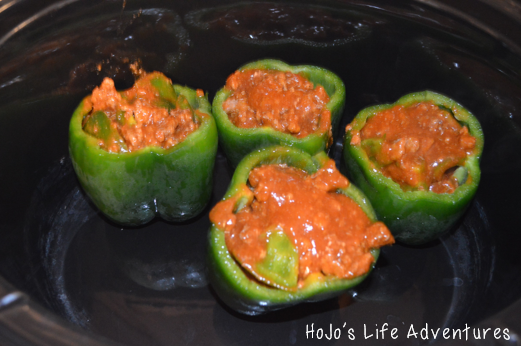 What’s your favorite stuffed pepper recipe? We love them, but we are definitely open to new ideas! Hi! I followed you here earlier this week from the Modest Monday link-up. 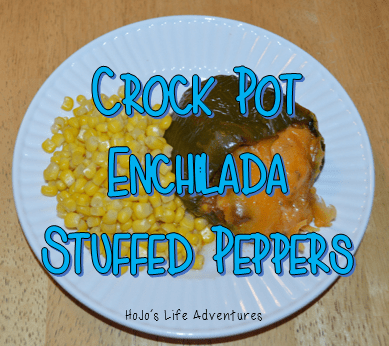 I made the crockpot enchilada peppers and they were great – thank you for the recipe! I added several onions (and more sauce) in order to stretch the meet. It's a keeper!